By David T. Lindgren. Annapolis, Md. : Naval Institute Press, 2000. Pp. xiii+222. Lindgren's thesis is that overhead images taken by satellites and aircraft have played a key role in arms control, not exactly new or riveting information. The book is largely a chronology of events in which aerial and satellite images of the Soviet Union played a role in superpower relations. 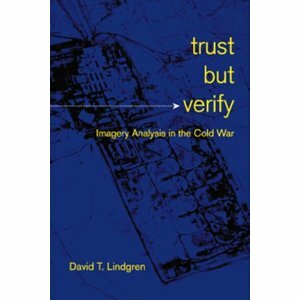 At no point does Lindgren actually delve into the details of how imagery has affected strategic planning or arms control, nor does he provide much insight as to how photo interpreters — now called "imagery analysts"– actually get information off a piece of film. How do they tell the difference between one missile or another? How do they measure the size of objects? How do they thwart attempts to camouflage installations? How do they establish order of battle (the number and composition) of military forces? How do they fix the location of targets on the earth? What tools do they use? How have these tools changed over the years? How are advanced pattern-recognition algorithms and three-dimensional visualization changing the nature of imagery analysis? Then there are the errors..